Over the past few years, funding for Missoula Veterans Court has trickled in, though it hasn’t been sustained and is often unpredictable. But a $550,000 federal grant awarded to Missoula District Court and its underlying program for troubled vets will help change that equation, allowing it to double its capacity and better meet current demand. Issued by the U.S. Department of Justice, the grant will enable the court to expand its treatment program on a number of fronts. That includes a full-time Veterans Court coordinator, enhanced case management services, and stronger evaluation of existing services. 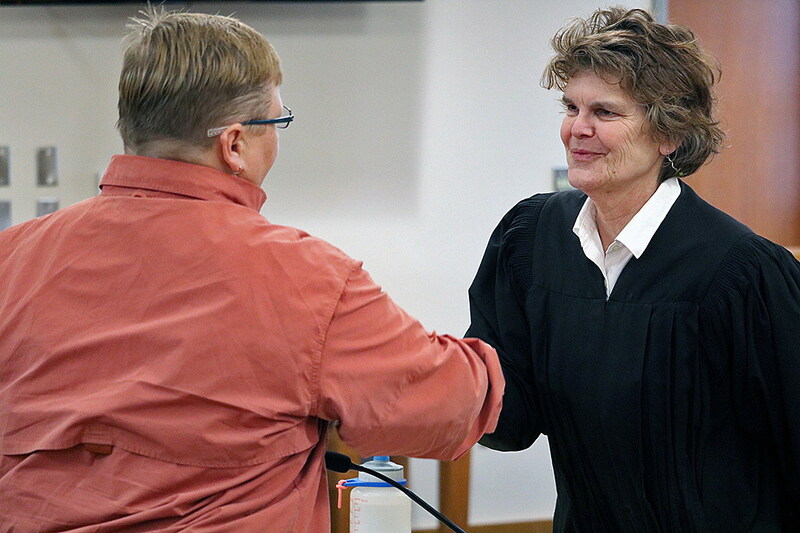 The Veterans Court program in Missoula was the first of its kind in the state, launched in 2011 to give vets who’d broken the law a chance to beat their addiction, treat their mental health disorder and get their life back on track. Since then, the program has graduated 52 veterans and recorded an 85 percent graduation rate. But for most of that time, it also has struggled for funding, even though it costs less than $100,000 annually to operate. Desmond views the program as a deal, both for veterans in the system and taxpayers. It also has proved successful in changing lives. Both had struggled with alcohol addiction and PTSD, elements which the court is equipped to address through treatment. That, advocates say, is a better option than jail. Able to serve more veterans, Desmond said the court will also need more volunteers to help mentor those going through the program. The annual class is scheduled for early November.